I’m a boy mom. You’ll know boy moms when you see us. We have bags under our eyes, wrinkles on our forehead from all the brow furrowing, and we typically limp from having recently stepped on a Lego. Also, there is typically a big smile on our face from just being told a silly joke…usually dealing with potty humor, and a little dirty-faced child clinging to our sides. One that may or may not have his shoes on the wrong feet, dirt under his nails, and three day old chocolate crusted into his hair. That’s life with boys. And it’s glorious. 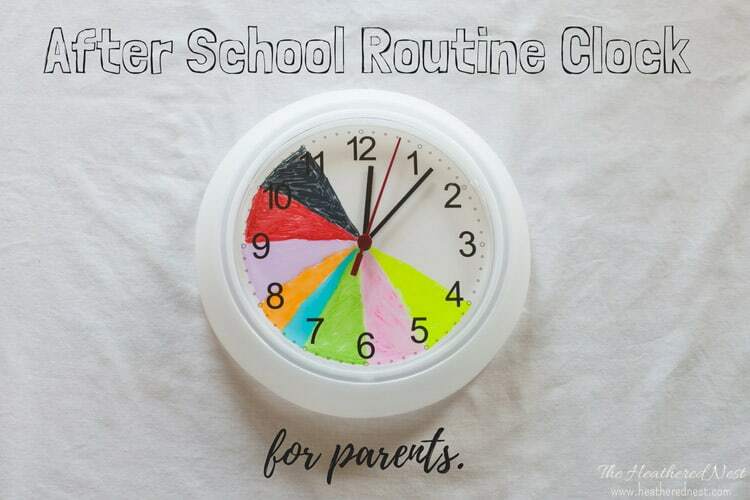 Decorating our boy’s rooms has been one of my favorite boy mom tasks. 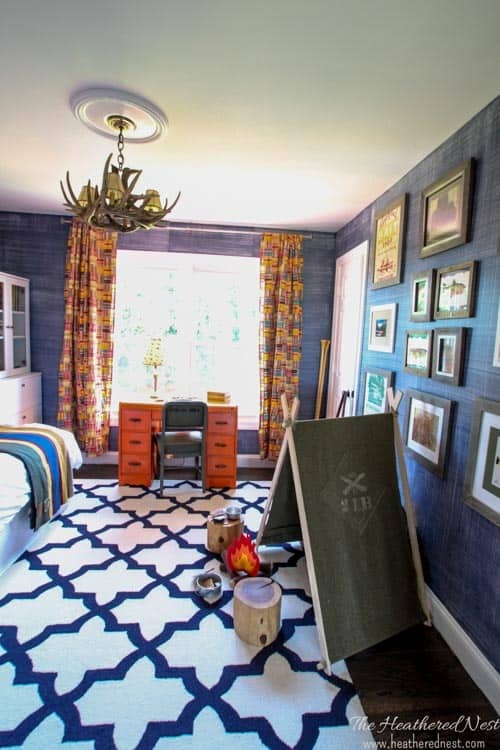 I loved letting my boys’ imaginations run wild when they served up their dream rooms to me. The challenge is reeling it in so that it can all fit in a 8×10 space. 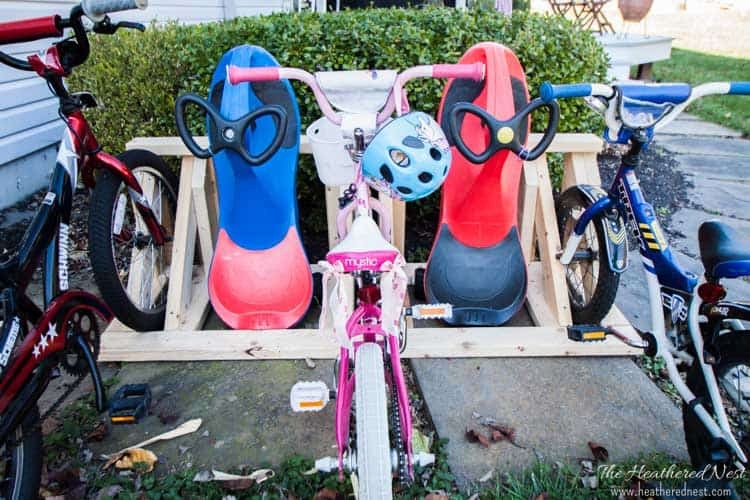 That launching pad may have to wait a while. And the real paleontology dig site may be a tad on the ambitious side. 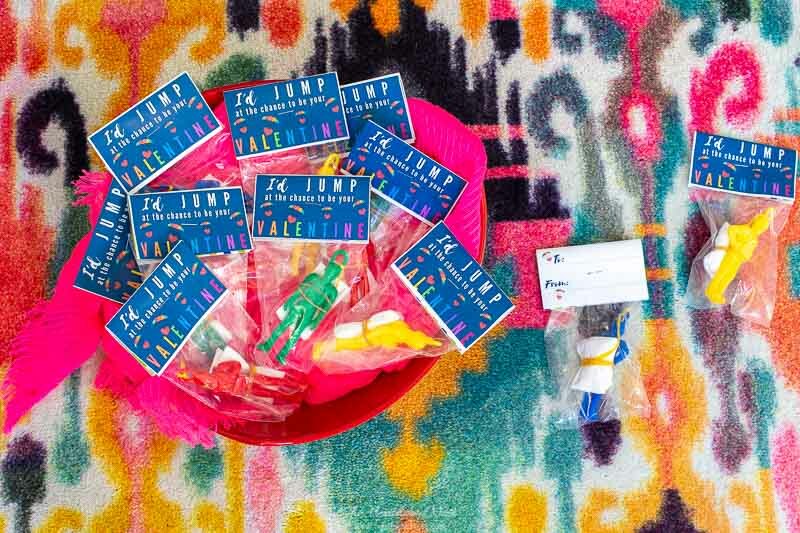 But there are PLENTY of boys room ideas out there, and putting this group together was such a fun task. 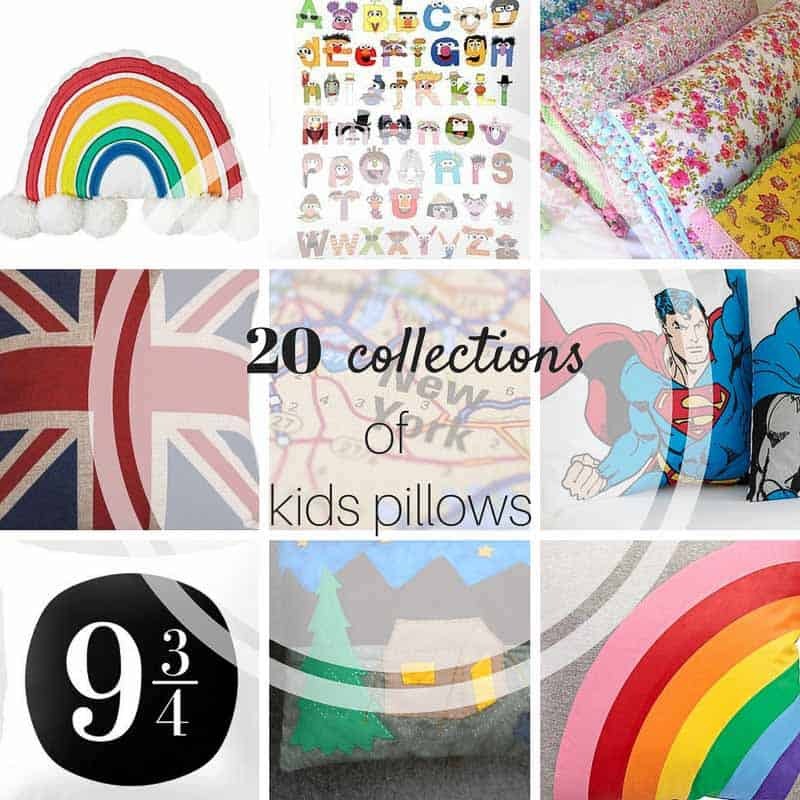 Hope you like these boys room ideas as much as we do! 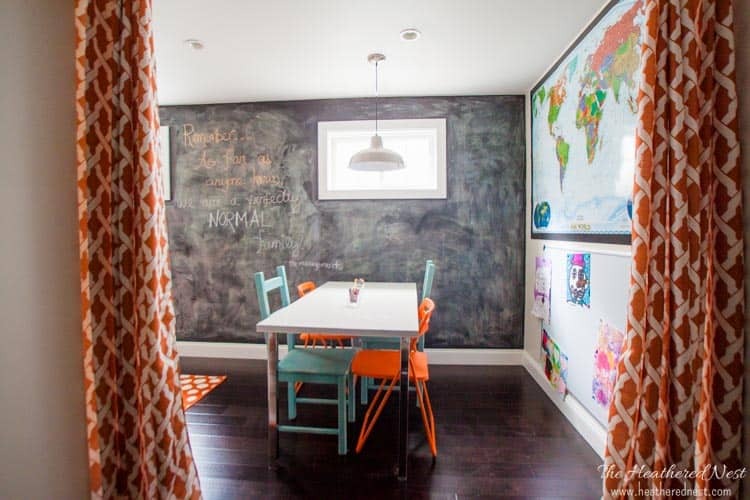 And if you want even more, check out our kid room Pinterest board, where we pin all kinds of kids spaces that make us swoon. 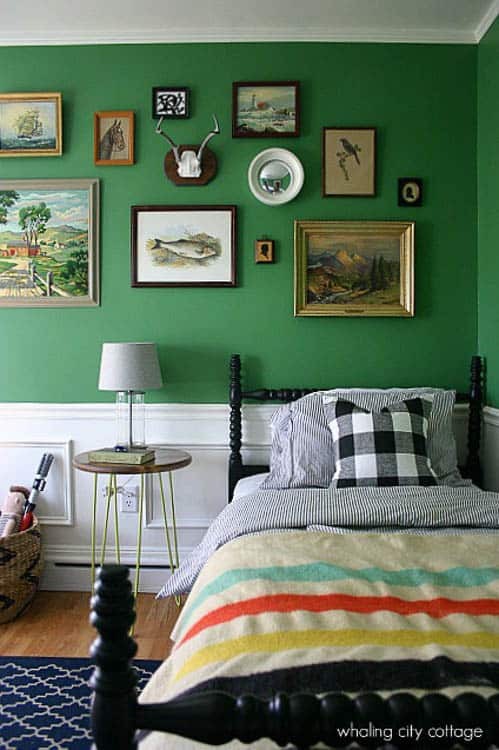 The emerald walls, the gallery wall complete with trout, and antlers and all kind of eclectic goodness coupled with that wonderful Hudson Bay blanket stole my heart AGES ago. 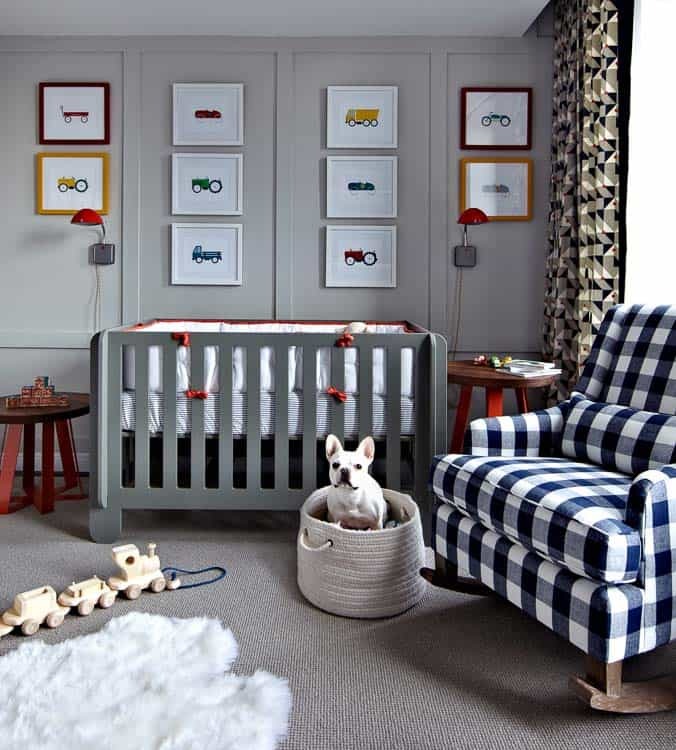 The masculine gray backdrop goes perfectly with the primary color punches in this gorgeous transportation themed Tribeca nursery. 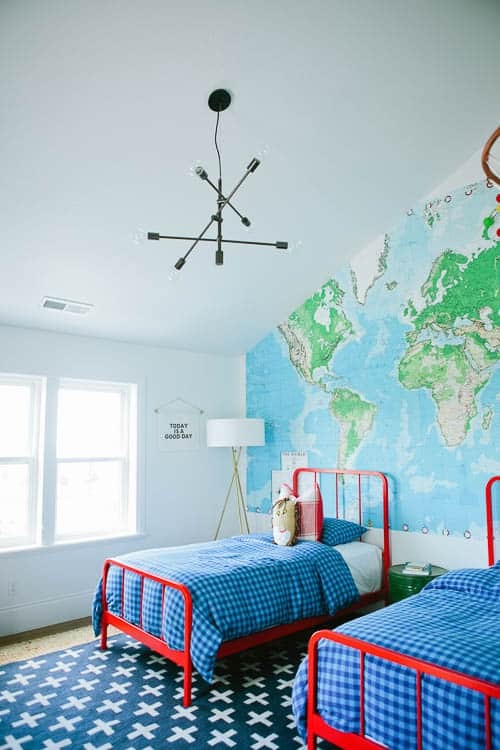 The Sputnik chandelier, the constellation wall, the flag, the astronaut quote wall…I mean, this is seriously the stuff of little boy dreams. Our oldest dude LOVES trains. So we gave him what he wanted…trains, planes and more trains. We tried hard to make it over the top trains, in as tasteful a way as we could dream up. 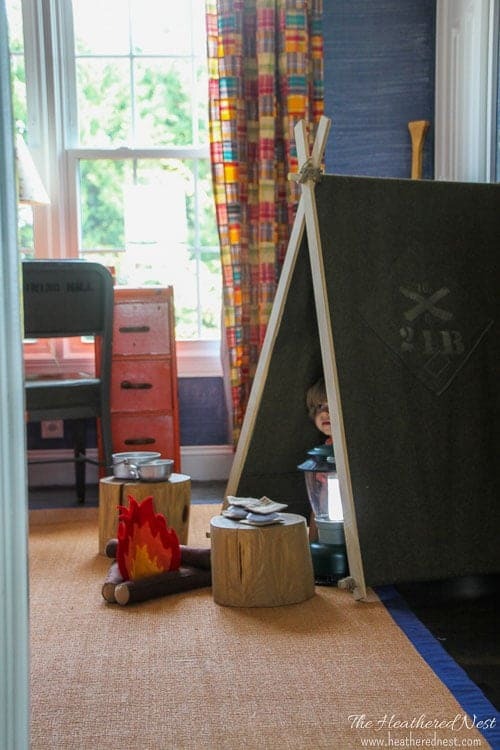 Do you have a mini-explorer in your house? Well, if so, is this not the PERFECT space? 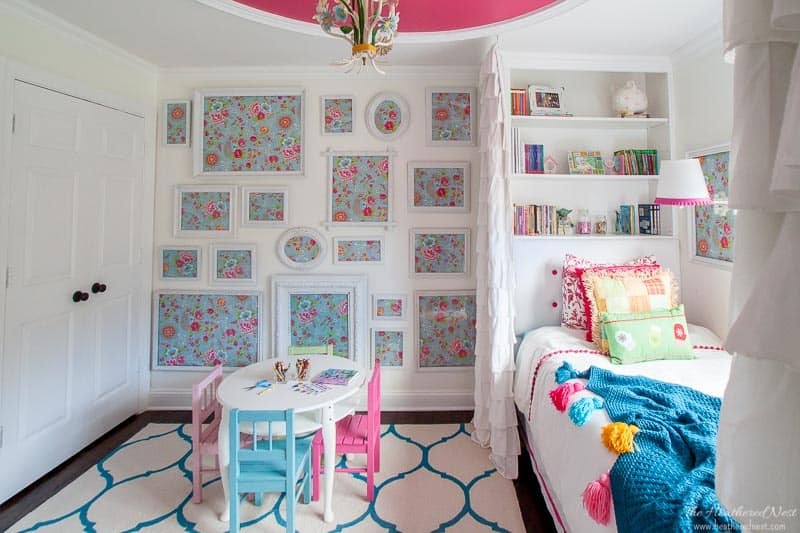 House of Jade with another amazing kids room design. I adore the huge map mural, and those bright red beds. 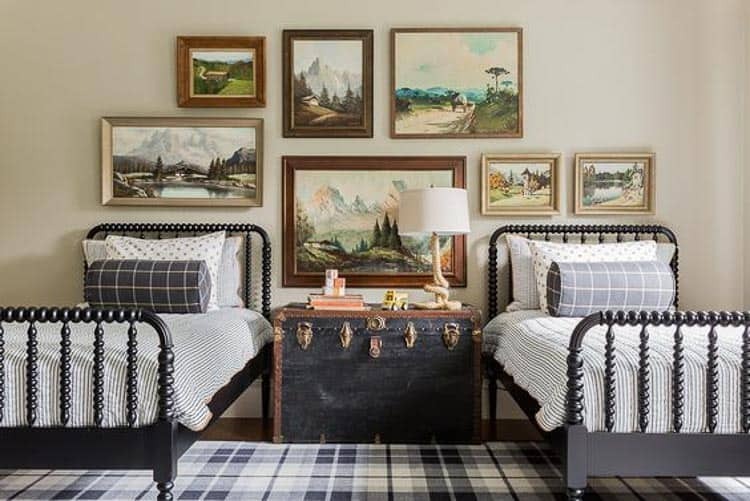 One of my fave designers, she makes this project, Teddy’s room look fun and inviting, yet totally classic. The gallery wall, the antique trunk, spindle beds and rope lamp…so many favorite parts, it’s impossible to choose just one. Perfectly preppy. That’s what this room is. And it completely fits for this amazing design blogger and friend of mine. The madras, the lab art, the navy striped walls. Adorable. I doubt Jude gets cabin fever in his amazing rustic bedroom. I sure wouldn’t, and I don’t even like to camp! This design is over the top fun, yet completely tasteful. 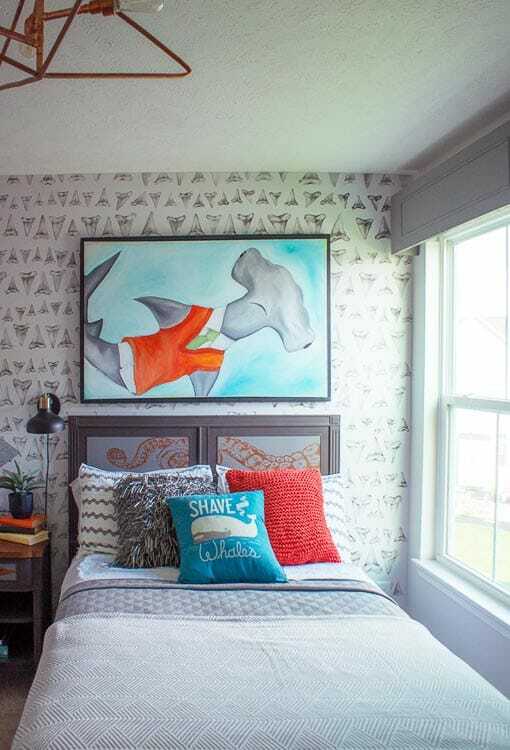 Amazing boy mom and blogger Jenny PAINTED that shark tooth wall. Yup. That’s love, right there. And how amazing did it turn out?! The hammerhead shark painting? She did that, too. The lighting? DIY. This WHOLE space is DIY, and it’s head to toe remarkable. 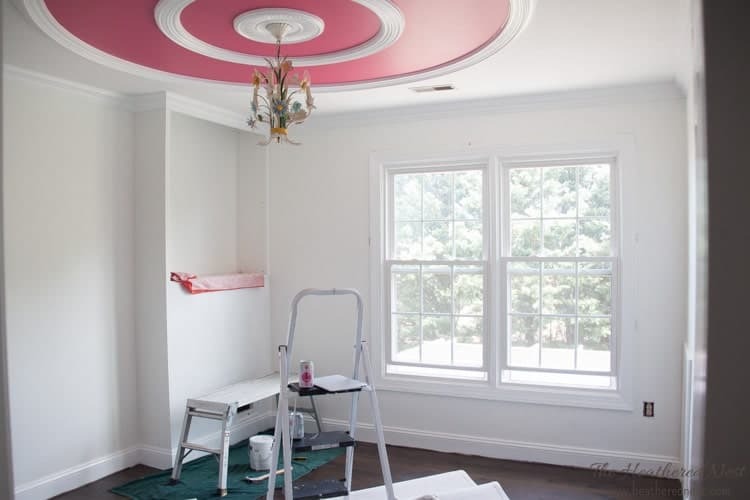 The ceiling and the moldings really captured my heart in this space. Along with that oversized galvanized light, the pocket doors and the blue ticking…this room is so out of the ordinary, creative and fun. A small space that packs a HUGE punch. This space by photographer Peter Estersohn is amazing. 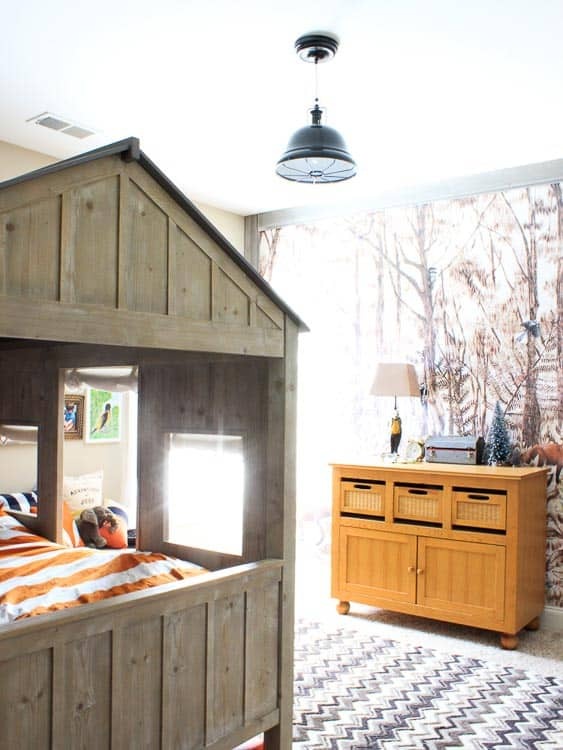 He blew an photo that he took up into this huge mural for his son’s room. Just goes to show that even a tiny room can have such a grand look with the right design. 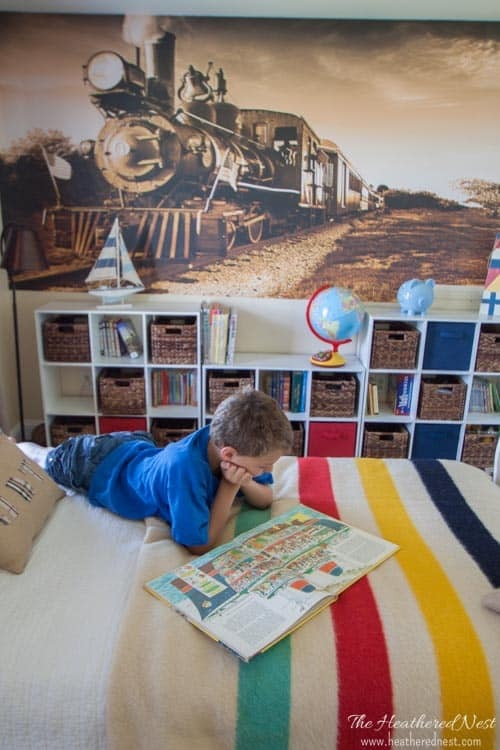 This gorgeous boy’s room in a Canadian waterfront cottage is just so inviting. The beam and other rustic wood elements, the white shiplap, even the ceiling fan (which I’m usually anything but a fan of) fit perfectly into a lakefront home. 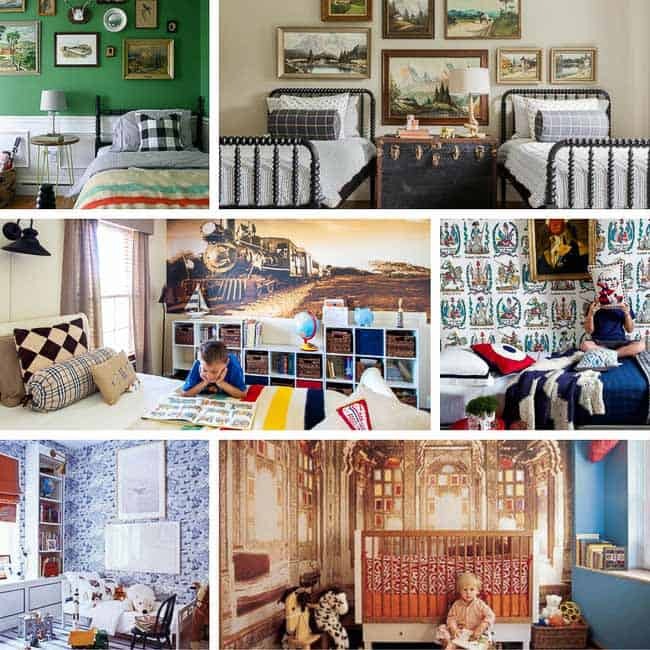 This wallpaper, by Marthe Armitage really makes this space in my opinion. It’s like a nautical toile. Gorgeous, and certainly makes a statement. I definitely love kids rooms with two twin beds. It’s a running thing on our Pinterest board, if you haven’t noticed. 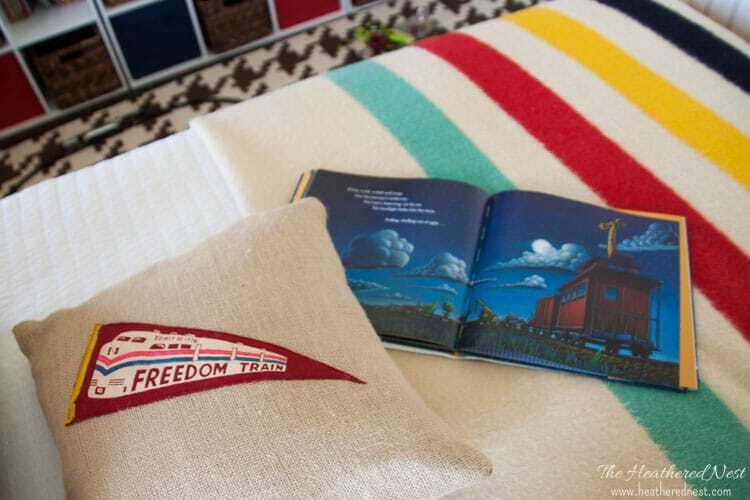 This design has a lovely neutral palette with great pops of color in the flag, and gallery wall. I’ve placed this room last, but it is CERTAINLY not least in it’s style and power. 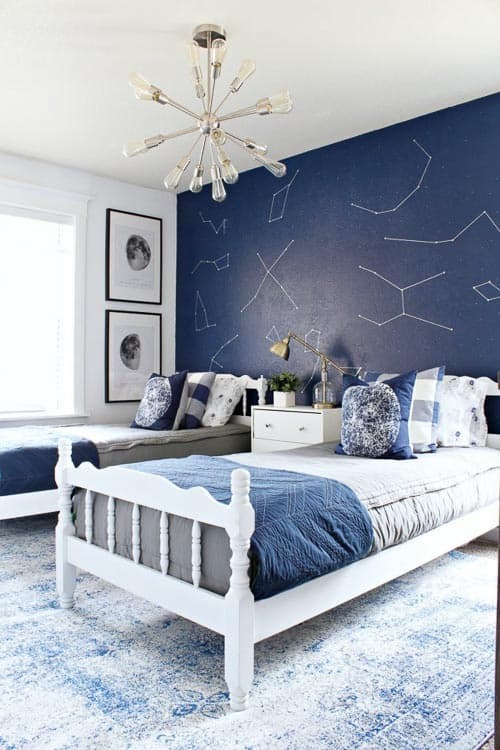 Such a unique and unforgettable theme for a little guy’s room. This paper is unbelievably cool, and the designer packs so many amazing elements into this space she created for her own son. It’s one of my all-time favorite boy rooms. 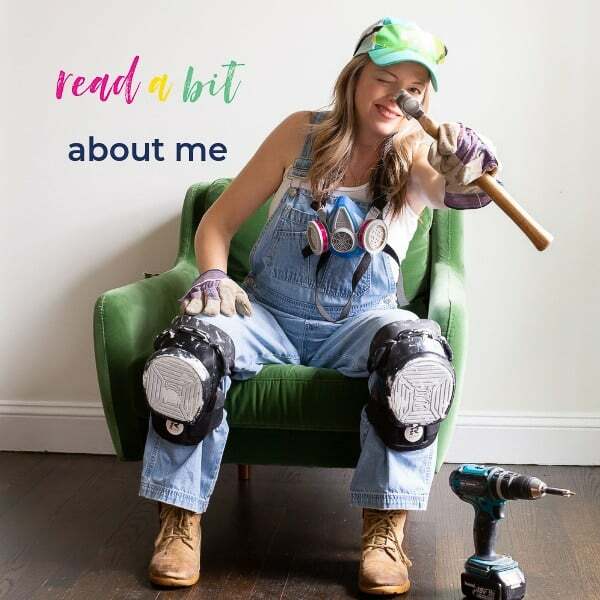 If you’re up for even MORE kids spaces, and DIY kids room ideas, head over to one of the posts linked up here today for the DIY Housewives! 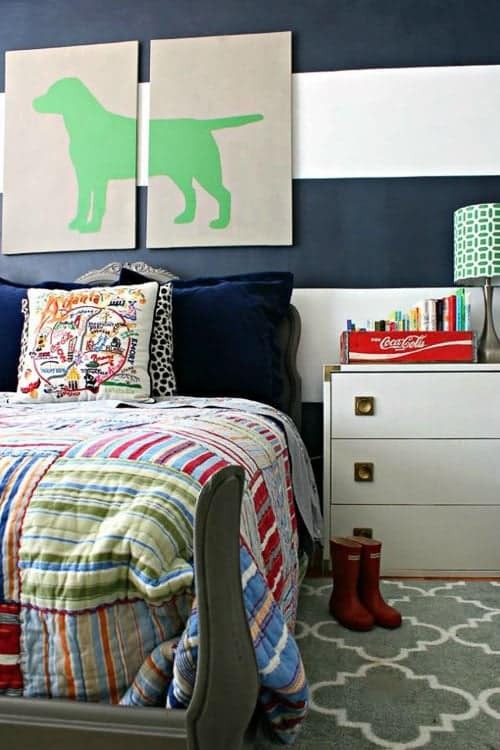 Wow – thank you for featuring Hollis’ room, Heather! Of course! I’ve loved his room for ages! 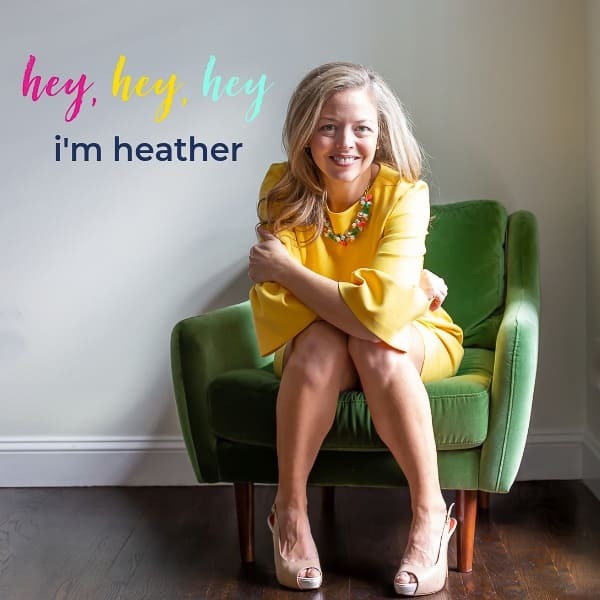 Such a great round up Heather! And just in time for us to redo my oldest’s room. These are all rooms that could grow with a boy. Pinning so I can see the pictures again on something bigger than my phone. ? Great! Hope you got some good ideas. I love all of these so much.